Recommended for all sensitive skins. 1 litre.
. Ingredients are 100% of natural origin, the best guarantee of smooth and effective for your skin in full respect of the plant and animal kingdom and in protecting the environment.
. Not tested on animals. Centifolia is a cosmetics lab since 1983. 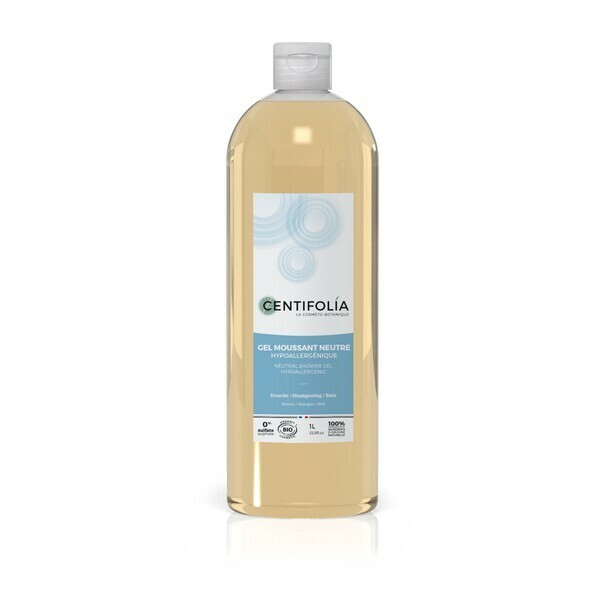 For 30 years, centifolia formulates its natural cosmetics from cold pressed vegetable oils, organic floral waters, organic essential oils and organic plant extracts and 100% natural. The centifolia laboratories use recognised virtues of plants for thousands of years for their benefits and offer a genuine and effective range of cosmetics labeled centifolia. All ingredients are from organic farming and are controlled by ECOCERT.